Max is one of the Special Children Azazel fed demon blood to as an infant. His mother died, pinned to the ceiling above his crib, presumably in the same manner that Mary Winchester died above Sam's crib. He had an abusive childhood, beaten by both his father Jim and his uncle Roger. His stepmother Alice knew of the abuse but did nothing to stop it. Max had the power of telekinesis, which appeared around six months previously, about the time Sam started having visions. Max used his power to kill his father and uncle as revenge for their physical abuse. When Sam has a nightmare depicting the death of Jim Miller, the brothers head to Saginaw, Michigan and confirm what Sam saw in his vision. The next day, they go undercover as priests, where Sam speaks with Max and connects with him. When Max's uncle Roger is killed that night, Sam and Dean initially believe that the Miller family is cursed and that Max may be in danger. After discovering the truth about Max's childhood, Sam suddenly has a vision of Max using telekinesis to kill his step-mother and realizes he was lured to the Millers' deaths because he was connected to Max. Sam and Dean arrive before Max is able to kill Alice. 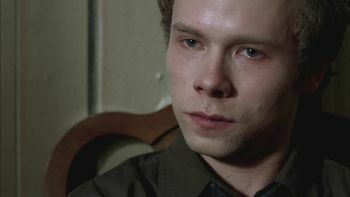 While Sam tries to reason with him and after learning how his mother died, Max won't listen and locks Sam in a closet. Upstairs, he holds Alice and Dean at gunpoint. Inside the closet, Sam has a vision of Max shooting Dean in the head. In response to this horrifying image, Sam inadvertently moves the cupboard blocking the closet door, via telekinesis. Sam is able to save Dean and tries to convince Max that killing more people won't solve anything, Max says "You're right." and shoots himself in the head. This page was last edited on 24 February 2019, at 09:17.